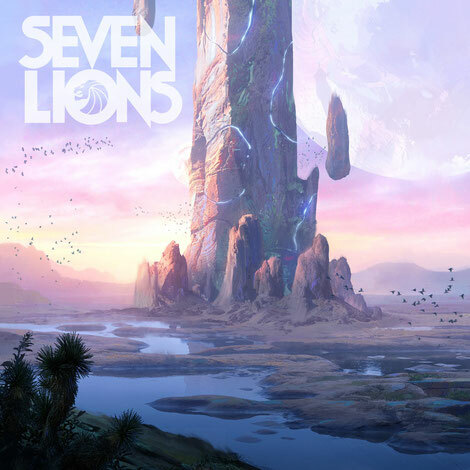 Coming off the high of his set at The Circuit Grounds stage at Electric Daisy Carnival Las Vegas, Seven Lions recently unleashed his ‘Where I Won’t Be Found’ EP, marking another accomplishment this year for the artist. From the heavily streamed ‘Freesol’ and ‘Where I Won’t Be Found’, he continues to layer upon his dense, mystic world with tracks like ‘Slow Down’ and ‘Sun Won’t Rise’, feat. Rico & Miella. ‘Rescue Me’ is an energetic future bass collaboration with Unlike Pluto, which is while ‘Without You My Love’, feat. Rico & Miella, is a synthesising of sounds wholly new to the Seven Lions universe. ‘Steps Of Deep Slumber’ is the work’s only instrumental song and is a possible standout track for that reason. Rounding out the eight-track work is ‘Silent Skies’, feat. KARRA. In addition to the new EP, just last week Seven Lions revealed his remix of Myon feat. Alissa Feudo’s ‘Omen in the Rain’, on Anjunabeats. This release marks his return to Above & Beyond’s label for the first time since the ‘Higher Love’ collaboration with Jason Ross feat. Paul Meany earlier this year. Seven Lions has apparently had a massive year of shows already with his There and Back Again tour, and festival appearances at Life in Color, EDC Japan, Middlelands, Paradiso and of course EDC Las Vegas. His upcoming festival performances include Tomorrowland and Electric Zoo, among others.